It is a great time being here in Varanasi. I wish there be festivals throughout the calendar. I could see garbage cleaned out, pits in few roads (at least that’s great if not all is repaired!). The city is decorated and was seen at its best. There were different pandals and lightings in different parts of the city. I was fortunate to have my travel to Gorakhpur in Bus as I could see Ramleela being performed in different places. In the evenings at least 30% of the city is outside visitng pandals and enjoying the festivities. Initially I used to wonder why somebody is calling it “Dussera”, some others “Durga Puja” when the calendar marks it as “Vijaya Dasami”. Another addition to this confusion is in Tamil Nadu we have something called “Pooja holidays”. Then I had a kind of googling and found out how a festival with a similar concept is celebrated in different places with regional emphasis. As this is the time of harvest it has some significance as harvest festival too. a) Navarathri 1: Celebrating God. We live in times of theory of relativity. We have rejected absolutes. As a result we could see a wide range of decline in morality in our nation. I see a similar theme of Worshipping God in Bible as well (whenever I make comparisons I do agree fundamentally there are strange differences. For the sake of explanation I am taking the points that superficially appear to be similar). We are called to worship Him in truth and Spirit. Worship in Bible is considered as a lifestyle. So the celebration of Navratri as I see is a remainder to live a life worthy of God where in we accept the standards that God kept for us and strive to achieve a harmonious living for all mankind and pleasing God. c) Dussera: Dussehra is derived from Sanskrit Dasha-hara literally means remover of ten referring to Lord Rama’s defeat of the ten-headed demon king Ravana. The day also marks the victory of Goddess Durga over the demons Mahishasur. One theme I draw from both these is the victory of good over evil. Be it defeat of Ravana by Lord Rama or Mahishsur by Maa Durga. This should be a great hope in the wicked world we live. In the Bible too we have mention about Jesus completely destroying satan at the cross. Thereby whoever believes in Jesus can live a life of overcoming evil. Let this hope abound in us as we recollect this festival. We have successfully celebrated Dusshera yesterday. Let not the message of this festival go with the passing of the festival. Let this festival challenge us to live a more worthy life. When will India have responsible government employees? We live in a corrupt nation where no system works without bribe. Recent addition to my anger is a irresponsible railway employee in Bareilly Railway station on 17th of October 2012. 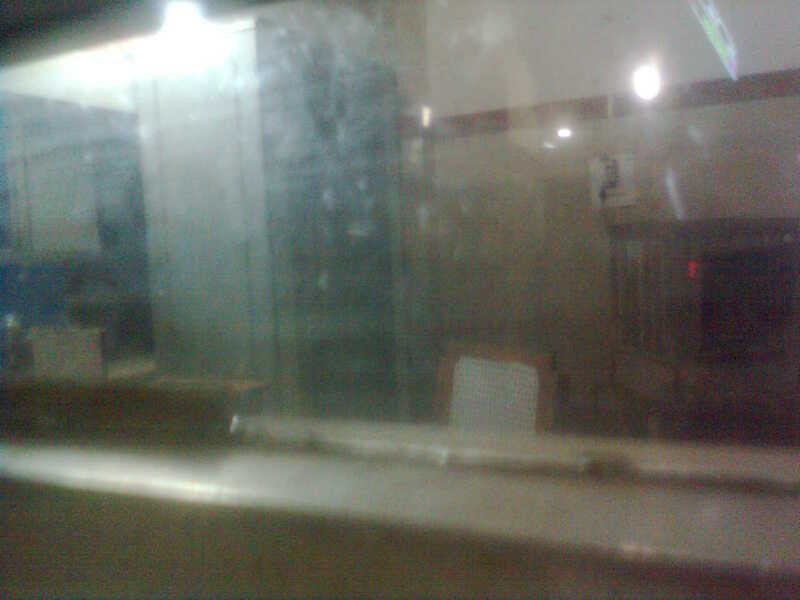 “Enquiry” cabin in a railway station is one of the most important place. This is the place from where people can get their queries answered. But the arrogance of government employees in office deserve the cruellest punishment. A very big que was there and enquiring about different query related to their train travel. The only response of that employee sitting in the cabin was a nod. She did not utter even a word. After few minutes she went to gossip with her colleague without attending any of the queries of passenger. There was not even a single person in the cabin for more than half an hour. We beat our chest and say RTI is passed in our nation. But what right of information do we have when there is no one in the railway enquiry counter and if she is present does not respond? Why this arrogance by the government employees? We need a better system in Indian government with performance appraisal and 360 degree feedback. The working culture we have in India is the most lazy working culture in the world. Here things move in only when they receive some tips or some pressure from politicians. When will we get a government which gives customer satisfaction?
? – am i ready to be a whistle blower for God which will help the people who read me to experience God’s forgiveness?
? – am i ready to sit with God and get His insights on social issues we face and give a God’s perspective to my readers? – am i ready to risk myself in telling the truth?